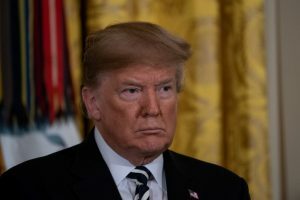 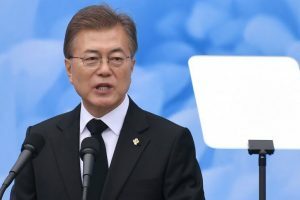 Continue reading "Talk-time on Korea~I"
Continue reading "Kim, Trump and the nuclear crisis"
US President Donald Trump spoke with his South Korean counterpart Moon Jae-in, when they agreed to meet later at the UN General Assembly. 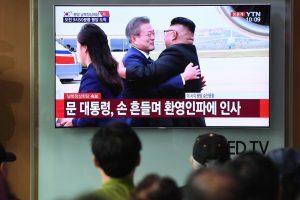 The ministry said it would withdraw some soldiers and equipment at guard posts inside the Demilitarised Zone on a trial basis, and consider a gradual expansion of the pullout later. 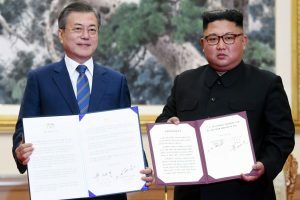 Continue reading "India, S Korea call for denuclearisation of peninsula; pledge to increase bilateral trade"
The two sides signed a joint statement on Early Harvest Package of the upgraded Comprehensive Economic Partnership Agreement (CEPA). 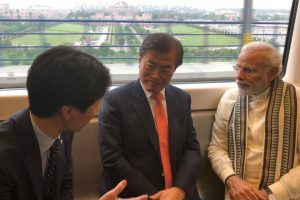 Prime Minister Narendra Modi and South Korean President Moon Jae-in took the Delhi Metro to travel to Noida in Uttar Pradesh for the inauguration of a Samsung Electronics facility. 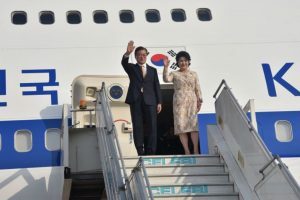 President Moon and his wife, Kim Jung-sook, were received at the airport by Minister of State for External Affairs VK Singh. 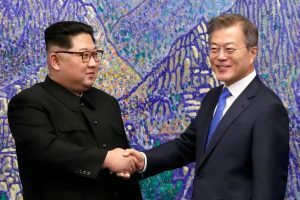 Continue reading "Denuclearisation on agenda: S Korean Prez arrives on 4-day India tour"
On 21 June, the International Day of Yoga, Moon made a special mention of PM Modi’s efforts to make yoga a global phenomenon. 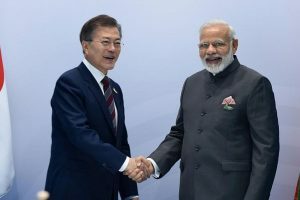 Prime Minister Narendra Modi on Thursday thanked South Korean President Moon Jae-in for the latter’s support to the International Yoga Day 2018 and expressed hope that yoga will bring peace and happiness in the lives of Koreans. 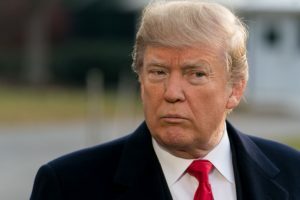 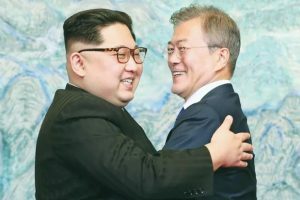 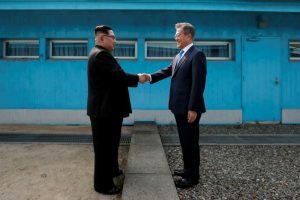 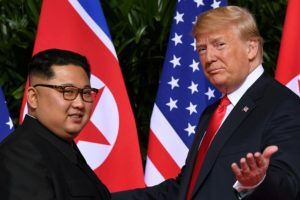 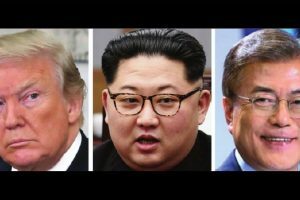 Continue reading "South Korean President Moon Jae-in to visit Russia"
Continue reading "For a successful summit, Trump must silence hawks"
A three-way summit was originally proposed by Moon and the North Korean leader when they held their first-ever meeting at the border village of Panmunjom on 27 April.